As of 01.10.10, if you live in the UK and happen to have a Sky+ HD box sitting under your brand new 3D HD TV, be prepared for a whole new world of 3D TV content. Sky’s brand new 3D channel hits the airwaves, and hence, your satellite dishes from October 2010, making it the first 3D content channel in the whole of Europe! This new channel is aptly, or maybe lazily, called ‘Sky 3D’. At launch, this new 3D channel will broadcast a range of programming coming from across Sky’s many channel areas to include entertainment programmes, sports and movies. If you already have a Sky+ HD satellite box along with a Sky World plus HD Pack subscription, then this new 3D channel is absolutely free to you. No extra costs at all. Nada. Apart from the new 3D Ready TV that you need of course! If you don’t currently have a Sky+ HD box, then now is the time to upgrade if you want to make full use out of that behemoth of a 3D television you’ve just splashed out on, and if you’re not currently a Sky customer at all, why not?! 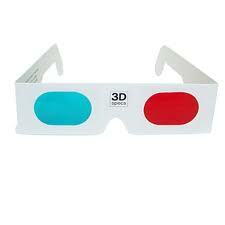 If you want to watch TV programming in 3D, there is currently no other alternative. Please click here for information and to upgrade to Sky 3D TV.